The following 2-day Blogger FAM trips are open for application. Before submitting your application, please review the requirements and process for participation in these trips here. Do not apply for a Blogger FAM trip until you have read and understood that information as non-compliant applications will not be considered. 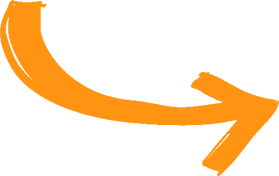 Take time to thoroughly review the trips and submit only ONE application. Please take note of the meeting locations. Just a few minutes away from the city of Stockholm, the archipelago begins. For many, this is Stockholm’s most spectacular attraction. This maritime landscape consists of nearly 30,000 islands, islets and rocks – from Arholma in the north to Landsort in the south – each with its own character. Rugged nature blends with wooded islands, rocky cliffs and sandy beaches. On some islands there are picturesque restaurants, hotels, youth hostels and country stores, while other islands are uninhabited and only have natural harbors. There is great variation, and a wealth of wildlife. This is the crown jewel in the treasure box that is Stockholm. We want as many as possible to get the chance to experience the archipelago, so we have put together a number of different famtrips to ensure that. Some are quite relaxing and some a bit more adventurous, but all the tours will let you savour this magical scenery with all your senses, from beautiful vistas to refreshing swims to the flavours of the archipelago cuisine. Welcome to the Stockholm archipelago! In the morning you will be picked up by a RIB from Öppet Hav and taken through the Stockholm harbour and out to the island of Utö. 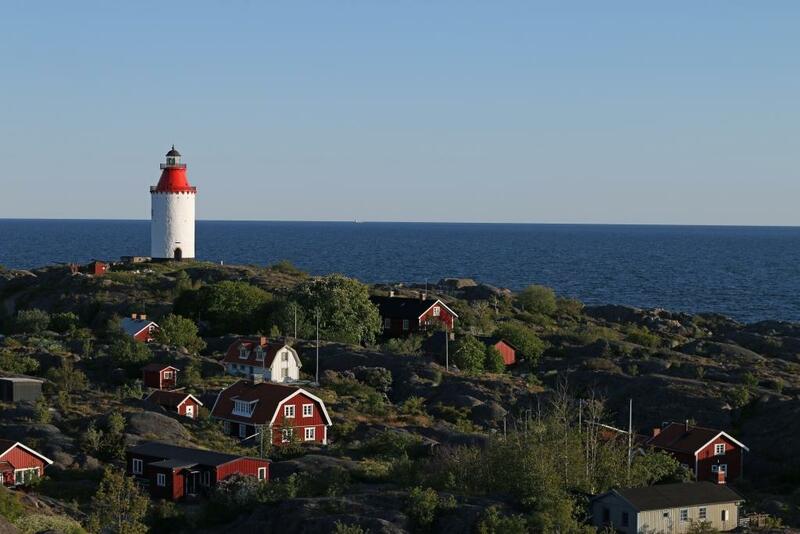 At Utö you will get a guided tour and hear how this place has transformed from an old mining village to the active archipelago community it is today. The occasional stories about Russian warriors, shrewd fishermen and half-crazy tavern-keepers will probably be shared. Lunch is served at Utö Värdshus. Afterwards you can go for a swim, take a walk or borrow a bike for some explorations on your own. The tour then continues by RIB through the beautiful outer archipelago inhabited by both seals and Golden Eagles. You’ll stop at Huvudskär for a picnic provided by Utö Bakgården bakery. You will then arrive in Sandhamn where the famous crime author Viveka Steen will show you her island. She has written the “Murders in Sandhamn” novels and knows this place like the back of her hand. You will stay at the classic sailors’ hotel Seglarhotellet Sandhamn where you will also enjoy a nice dinner and an optional visit to the spa. After breakfast the next morning, the RIB is waiting to take you back to Stockholm. 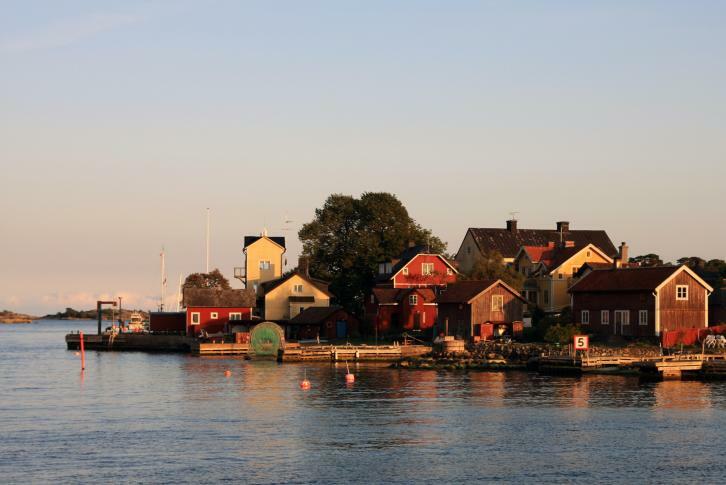 This tour will take you to Nynäshamn, a beautiful coastal town located about 60km south of Stockholm, and its surroundings. The tour will revolve around archipelago flavours of many different varieties. You will travel to and from Stockholm by bus. This culinary tour includes visits and samplings at Sanda Gårdsmejeri, a family owned dairy farm that makes locally produced cheese, Nynäshamns Ångbryggeri, an award-winning brewery, Nynäs fish and seafood Smokery located in the picturesque fishing harbour and Chokladhuset, the company that supplies all the chocolate for the Nobel banquet. Dinner will be served at the cosy family owned restaurant Kroken. 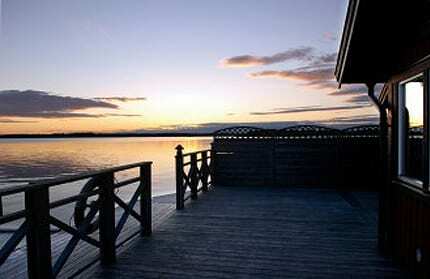 You will stay the night at Nynäs Havsbad, a hotel and SPA with a lovely seaside setting. You will of course have time to enjoy the spa facilities here. You don’t always have to travel far away and by boat to experience the archipelago. Many of the islands are accessible by road and Djurönäset is one of those places. Tucked away on the island of Värmdö about 45 minutes from the city, this four-star hotel invites you to a relaxing archipelago stay. You can explore the surroundings on your own or just spend a leisurely afternoon by the pool or by the sea. There are both wood fired saunas and hot tubs available. There is also an option to go on a tour with a submarine. You will have dinner at the archipelago restaurant Sjöboden and stay at the hotel. You will travel with bus both ways. Landsort is the southernmost island of the archipelago and home to one of the region’s most iconic lighthouses. This island was mentioned as early as the 11th century and has through history been an important place of work for pilots, customs officers and telegraphists. One of the oldest lighthouse locations and the one standing on the island today dates back to 1672. On this tour you will travel by boat past the islets and skerries to Landsort where you will get a guided tour of the island and climb the lighthouse. On the island is also an old pilots’ tower that now serves as a good viewpoint, and you will both have dinner and sleep in this tower. 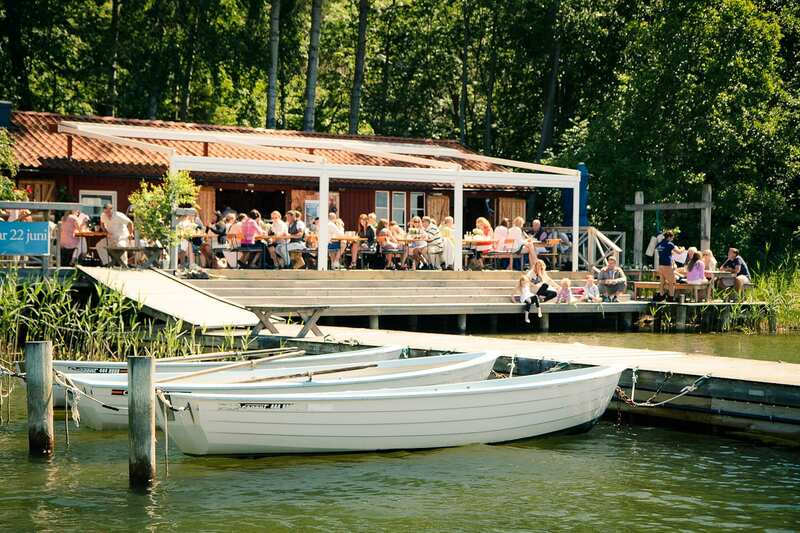 A typical archipelago bar in an old fishing cottage is open for those wanting a nightcap. After breakfast the next day you will take a RIB to Nynäshamn and bus back to the city. Nässlingen is a beautiful private island located in the middle part of the Stockholm archipelago. You will travel by boat through the archipelago and make several stops along the way on a variety of different islands and hear stories from this part of Stockholm. Keep your eyes open for seals! Once at Nässlingen you will enjoy dinner at the hotel and watch the sunset from the seaside sauna. The following day you will visit the Siarö Fort located on the tiny “Cemetery Island”. The guide will tell you about the exciting military history surrounding this place and also take you into the underground fort. You then continue to Wira Bruk, an iron mill dating back to 1630 when this was the main armoury for the Swedish army. An art smith will show you the forges and the smithery and after lunch a bus will take you back to the city. 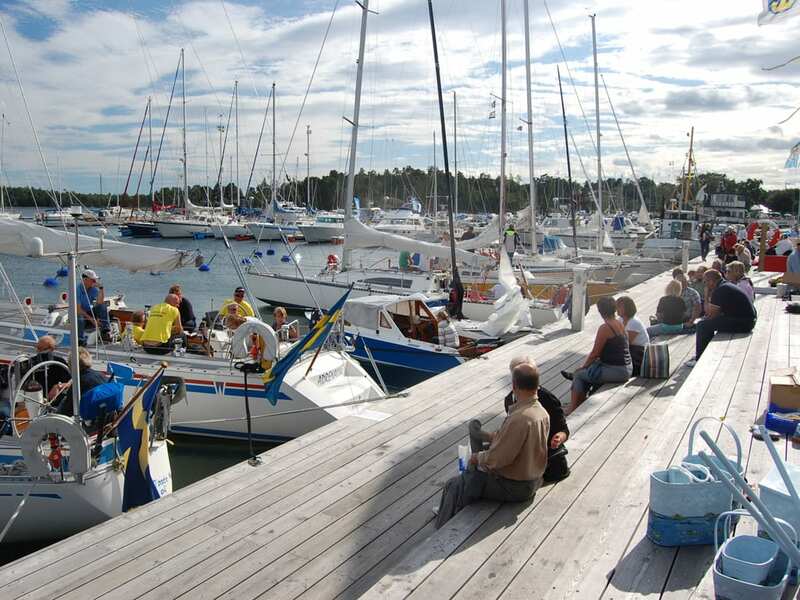 One of the post popular archipelago towns is Waxholm. It’s located just 35km from Stockholm, so many live here and commute to the city for work – thus getting the best of both worlds. This quaint little seaside town has lots of small shops, cafés and restaurants and also an old citadel dating back to the 16th century. 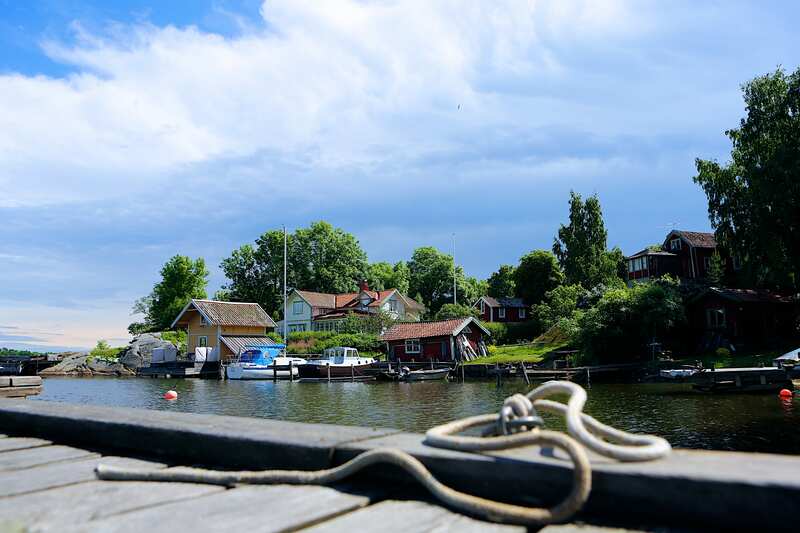 You will travel to Vaxholm by ferry and once there you will get a guided tour of the town and the citadel. In the evening you will have dinner at Husmor Lisa, a restaurant located in Lisa’s home, and she will prepare food made from the region served on the old family china. It’s home fine dining at its best. You will stay at Vaxholm Hotel and after a leisurely morning with a “fika” at the local folklore museum you will take the boat back to Stockholm. Just outside Stockholm, in the first stretches of the archipelago, you find the Yasuragi SPA. The experience here revolves around the ancient Japanese bath rituals, and is a place for calm and relaxation. 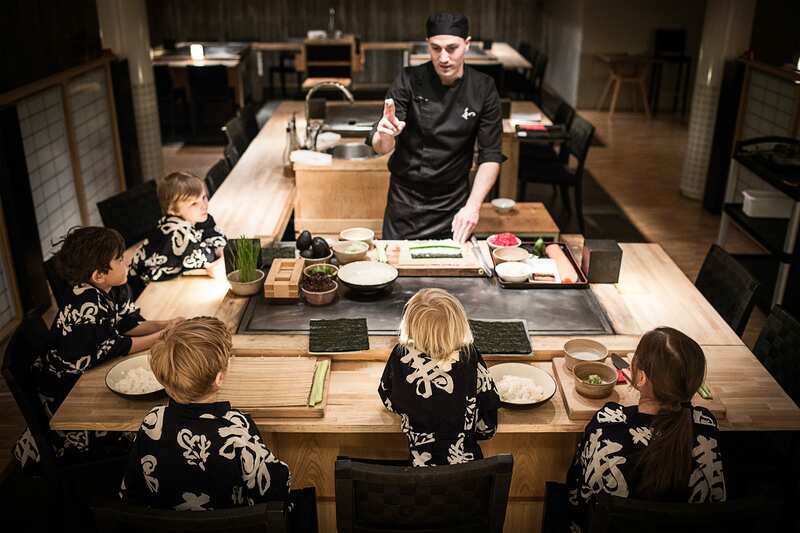 You might not associate that type of place with kids, but Yasuragi has its own kids program because kids also need time to rest and relax. You and your family will travel by boat to and from Yasuragi, take part in different activities, of course try all the baths and saunas available and stay overnight. This trip is open to families traveling with children. Please specify the names of family members who will accompany you, and ages of children, in the comment box on the application form.